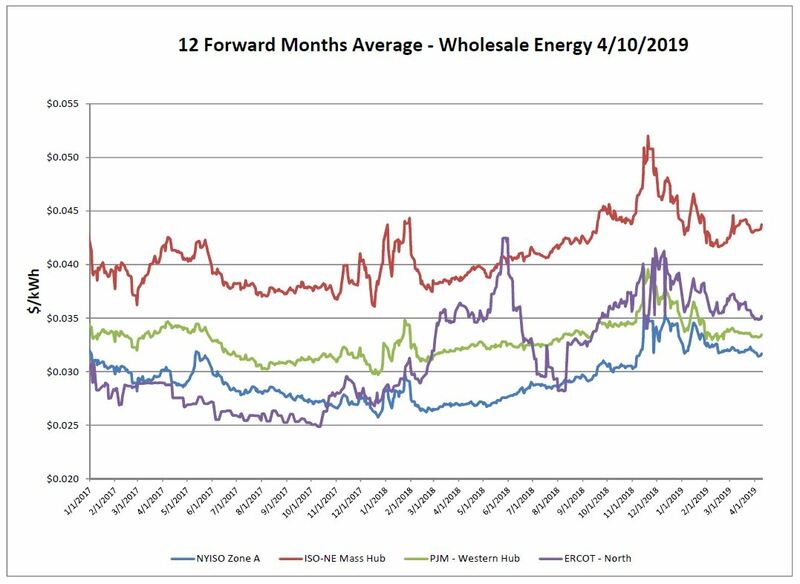 Only a slight tick up on the electric markets over the report week. Prices have been noticeably stable over the past few weeks. The day ahead market remained quiet as temperatures across the Lower 48 states were warmer than normal, despite a blizzard that set in across the Midwest on the last day of the report week. 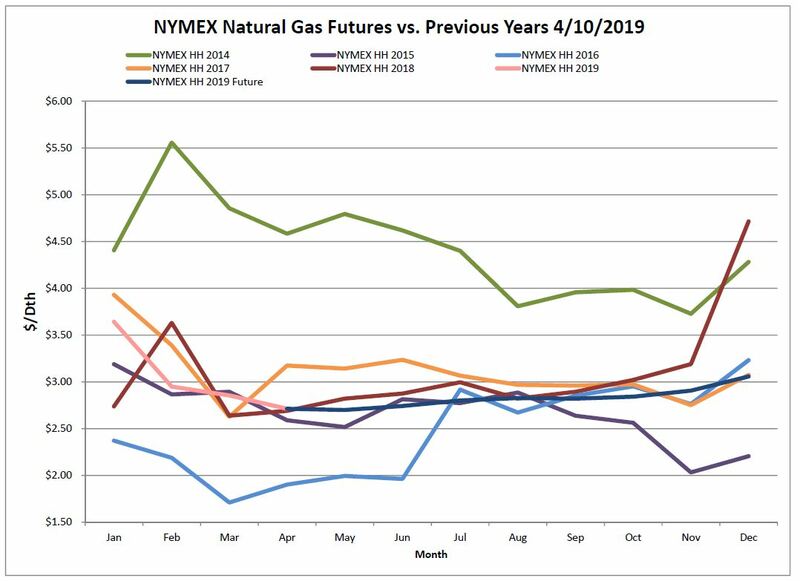 Natural gas prices moved up just slightly, with the NYMEX up $0.03 and the Algonquin basis up $0.04. Steady production and mild weather have given the market little incentive to force large price swings. 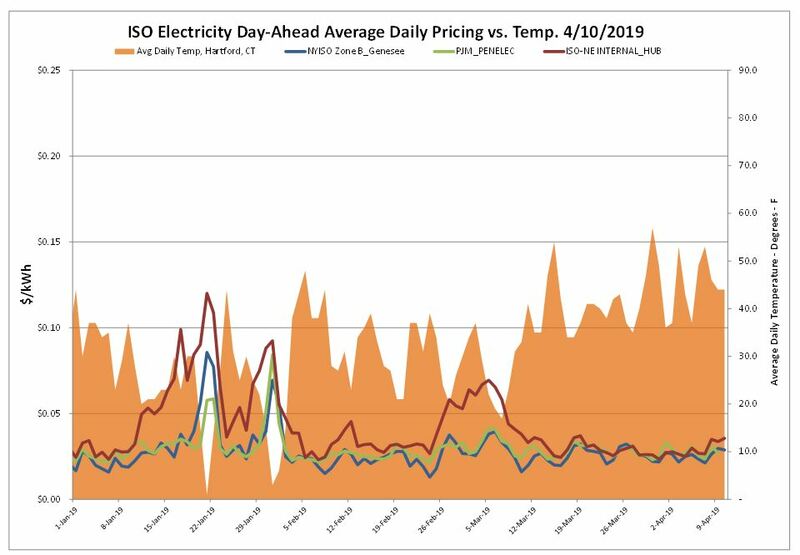 Summer weather remains the big mystery, as another above average summer like last year, combined with the low storage reserves could leave the US with a poor storage situation heading into next winter. 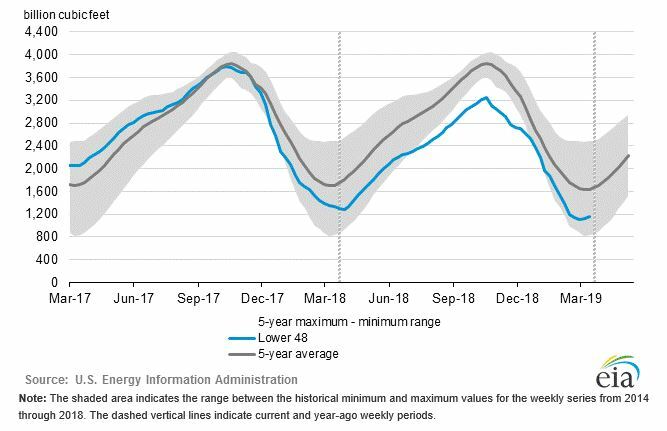 As of Friday, April 5, 2019, working gas in storage was 1,155 Bcf. According to EIA estimates this represents a net increase of 25 Bcf from the previous week. Analysts had anticipated a higher injection around 30-33 Bcf. This compares to the 20 Bcf withdrawal seen last year for the corresponding week, as well as the 5 Bcf five-year average injection. 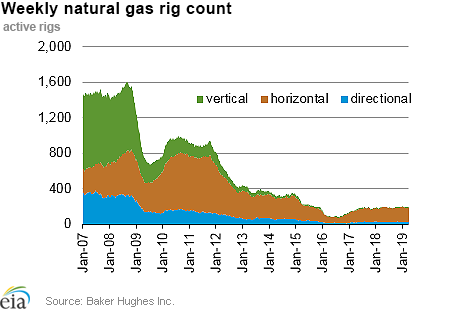 The Baker Hughes exploration gas rig count decreased by 5 rigs from last week for a total of 189 rigs. This is 3 less rigs than were in operation at this time one year ago when there were 192 rigs. 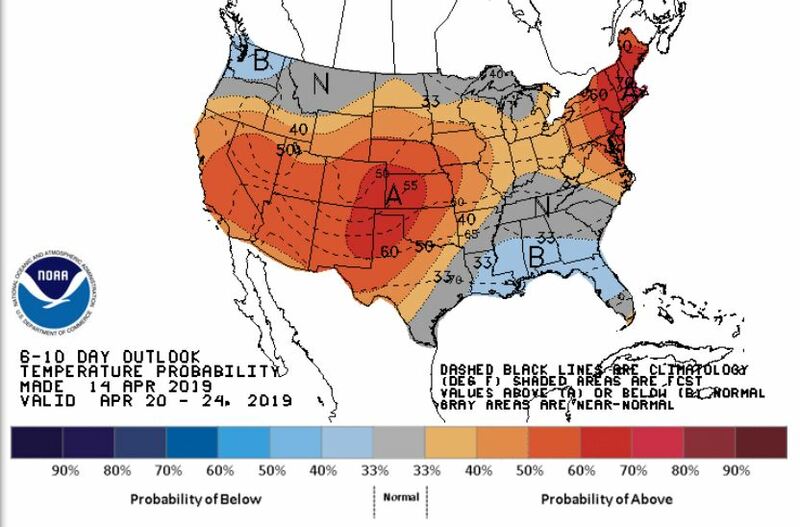 While the northern mid-continent faced severe winter weather conditions over the past few days, for the 6-10 day outlook, much of the rest of the U.S. looks to remain within the normal to slightly warmer-than-average range, keeping a ceiling on near term weather driven demand.